A $3 million plan has been unveiled to address the cultural barriers and disadvantage faced by Aboriginal and Torres Strait Islander people with disability. Minister for Social Services, Christian Porter, Assistant Minister for Disability Services, Jane Prentice and Minister for Indigenous Affairs, Nigel Scullion, said the Australian Government Plan to Improve Outcomes for Aboriginal and Torres Strait Islander People with Disability (the Plan) will drive better outcomes for Aboriginal and Torres Strait Islander people with disability, their families and carers. Assistant Minister Prentice said consultations over the last three years show that Aboriginal and Torres Strait Islander people with disability face unique challenges. “The Plan recognises the importance of supporting Aboriginal and Torres Strait Islander people with disability, particularly in remote locations. Housing – access to appropriately designed shelter and accessible, well-designed communities that are fully inclusive of all residents. Health Services – that meet the needs of Aboriginal and Torres Strait Islander people with disability to ensure the highest possible health and wellbeing outcomes. “By addressing these issues head on, this Plan aims to achieve improved outcomes and overall social, emotional, cultural, and economic wellbeing for Aboriginal and Torres Strait Islander people with disability and their families and carers,” Minister Porter said. The Australian Government is committed to building an environment that enables Aboriginal and Torres Strait Islander people with disability to achieve improved life outcomes and overall social, emotional, cultural and economic wellbeing. 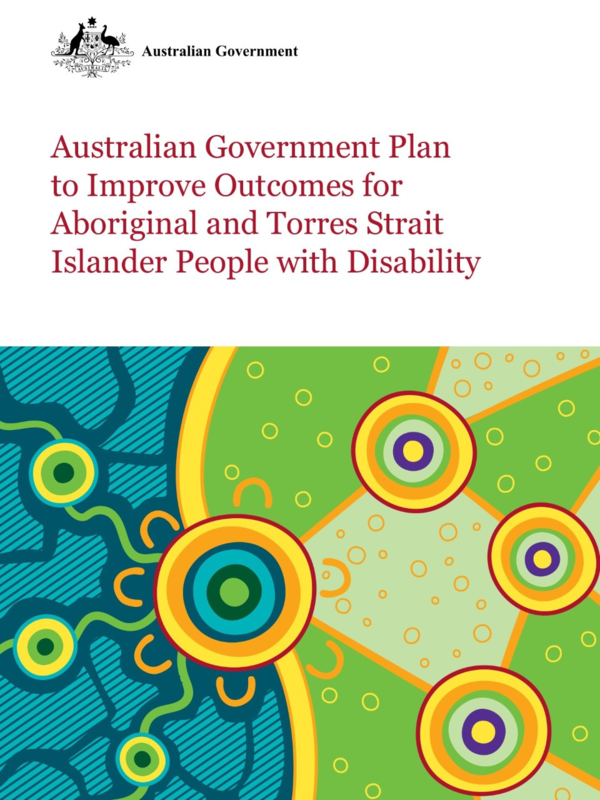 The development of a dedicated Australian Government plan to improve outcomes of Aboriginal and Torres Strait Islander people with disability seeks to build the capacity of service systems, including disability services and Indigenous programs, to better meet the needs of Aboriginal and Torres Strait Islander people with disability in a culturally safe and appropriate way. The Plan also aims to support workers and carers in their continuing efforts in Aboriginal and Torres Strait Islander communities. • Aboriginal and Torres Strait Islander people, communities and organisations. The Plan is the first of its kind and will be built on over time. 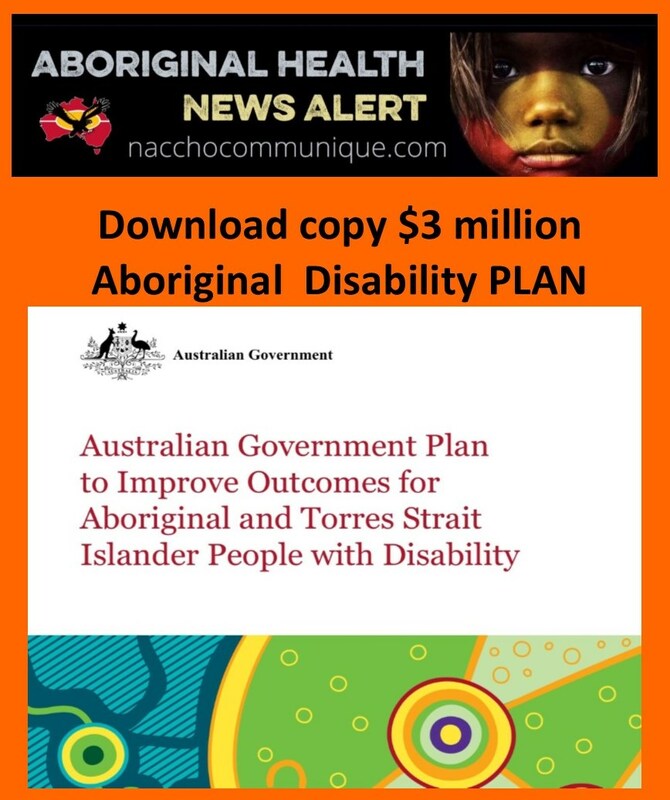 The Plan will build on significant work currently being undertaken by the Australian Government to improve outcomes for Aboriginal and Torres Strait Islander people with disability. Consultations on the Plan have been undertaken over the last three years across government agencies together with community stakeholders, including Aboriginal and Torres Strait Islander people with disability, their representative organisations, researchers and community organisations. 1. Aboriginal and Torres Strait Islander people with disability have access to appropriately designed shelter and live in accessible, well designed communities that are fully inclusive of all their residents. • a disability inclusive justice system. 3. Aboriginal and Torres Strait Islander people with disability achieve their full potential through participation in an inclusive, high quality education system that is responsive to their needs. People with disability have opportunities for lifelong learning. 4. Aboriginal and Torres Strait Islander people with disability, their families and carers have opportunities to gain economic security through employment and business ownership, enabling them to plan for the future and exercise choice and control over their lives. 5. Aboriginal and Torres Strait Islander people with disability attain the highest possible health and wellbeing outcomes throughout their lives, enabled by all health services capabilities to meet the needs of people with disability. Measurable The priorities and actions outlined in the Plan must be measurable to track progress and outcomes. Replicable While Aboriginal and Torres Strait Islander people and communities are diverse, there needs to be some consistency in approach and general principles for success that can be applied across different communities. Sustainable The Plan represents a starting point in the development of a new approach for improving the lives of Aboriginal and Torres Strait Islander people with a disability. The Plan seeks to outline reform and action that will be sustainable over the long-term. Flexible The Plan recognises that different people and different communities have different needs. While adhering to principles of sustainability and best practice in the delivery of services, implementation needs to be responsive to the unique requirements of individuals and communities. Cultural The Plan recognises that Aboriginal and Torres Strait Islander people with disability will have similar physical and structural requirements as non–Indigenous people, but that service delivery needs to be undertaken in a cultural context to achieve success. Area 5: Aboriginal and Torres Strait Islander people with disability attain the highest possible health and wellbeing outcomes throughout their lives, enabled by all health and disability services having the capability to meet their needs. Holistic health care and coordination between health and disability services are paramount for those with disabilities. Many Aboriginal and Torres Strait Islander people, those with a disability and those without, access Aboriginal and Torres Strait Islander community controlled health services as they deliver holistic, comprehensive and culturally appropriate health care, and have an understanding of the cultural needs of Aboriginal and Torres Strait Islander people. While these services meet general health needs through comprehensive primary health care, there is still a need for health workers to receive appropriate training on disability issues. Workers aware of disability needs are able to facilitate appropriate referral pathways for clients to receive any required additional disability services and supports. Access to disability services is limited by cultural considerations as well as by geographical location, environmental factors, capacity and level of need. Cultural safety can be at risk where the only service within geographic reach is designed for the general population without achieving cultural competency for Aboriginal and Torres Strait Islander care. The Australian Government is committed to working in a spirit of collaboration with states and territories, local government, Aboriginal and Torres Strait Islander people, and communities and organisations to deliver real outcomes and foster greater opportunities for Aboriginal and Torres Strait Islander people with disability, their families and carers.